An unflinching critical analysis of government is contained in this work, which distills complex economic and political issues for the layperson. Combining an economist’s analytical scrutiny with an historian’s respect for empirical evidence, the book attacks the data on which governments base their economic management and their responses to an ongoing stream of crises. Among the topics discussed are domestic economic busts, foreign wars, welfare programs such as social security, the arts of political leadership, the intrusive efforts of governments to protect people from themselves, and the mismanagement of the economy. Though focused on U.S. government actions, the book also makes revealing comparisons with similar government actions abroad and in China, Japan, and Western Europe. 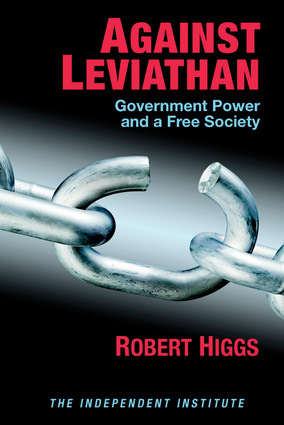 This book furthers the disscussions in Higgs' bestseller Crisis and Leviathan. Robert Higgs is the author of Competition and Coercion, Crisis and Leviathan: Critical Episodes in the Growth of American Government, The Transformation of the American Economy 1865–1914, and more than 100 articles and reviews appearing in publications such as the Chicago Tribune, the Los Angeles Times, Reason, Society, and The Wall Street Journal. He is a senior fellow in political economy at the Independent Institute and is the editor of the institute's quarterly journal, The Independent Review: A Journal of Political Economy. He has also appeared on ABC, CNBC, C-SPAN, NPR, and Radio Free Europe.